All mothers are concerned about what to feed their child across age groups but it particularly gets more confusing to decide and plan for your baby once they begin to wean off the breast. For starters, exclusively breastfeed your baby till at least 6 months. Breastfeeding through tiring at times can seem easy for some since no planning is required in terms of what to prepare for your baby on any given day. I know … I know… all titles these days sound similar with 3 things to do, 5 steps to consider and …. you know…so on and so forth. But as a woman who has recently embarked on the journey to motherhood, I can say with experience that these 3 things really helped me where I am today… a contented woman who is loved and cherished and so ready to be a mother. 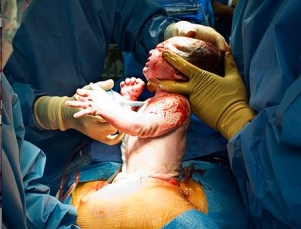 Do we really need so many C-section baby deliveries? Personally I am dead against c-section deliveries unless it absolutely necessary and it’s imperative to save the baby and the mother involved. However, within my circle of cousin sisters and friends , I have seen a upswing of c-section babies due to pregnancy related complications and interestingly more women in my close circle have opted for c-sections themselves.